East Japan Railway Company (東日本旅客鉄道株式会社, Higashi-Nihon Ryokaku Tetsudo Kabushiki-gaisha) is a major passenger railway company in Japan and is the largest of the seven Japan Railways Group companies. The company name is officially abbreviated as JR-EAST or JR East in English, and as JR Higashi-Nihon (JR東日本, Jeiāru Higashi-Nihon) in Japanese. 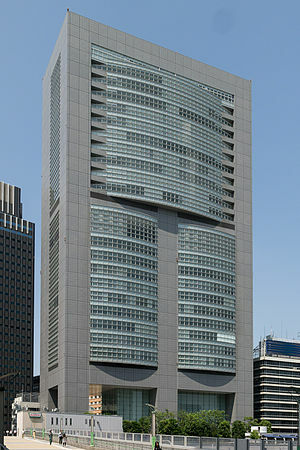 The company's headquarters are in Yoyogi, Shibuya, Tokyo. JR East was incorporated on 1 April 1987 after being spun off from the government-run Japanese National Railways (JNR). The spin-off was nominally "privatization", as the company was actually a wholly owned subsidiary of the government-owned JNR Settlement Corporation for several years, and was not completely sold to the public until 2002. Following the breakup, JR East ran the operations on former JNR lines in the Greater Tokyo Area, the Tohoku region, and surrounding areas. Railway lines of JR East primarily serve the Kanto and Tohoku regions, along with adjacent areas in Koshin'etsu region (Niigata, Nagano, Yamanashi) and Shizuoka prefectures. JR East operates all of the Shinkansen, high-speed rail lines, north of Tokyo, except the Hokkaido Shinkansen, which is operated by JR Hokkaido. The Tokyo–Osaka Tokaido Shinkansen is owned and operated by the Central Japan Railway Company (JR Central), although it stops at several JR East stations. These lines have sections inside the Tokyo Suburban Area (東京近郊区間) designated by JR East. This does not necessarily mean that the lines are fully inside the Greater Tokyo Area. Below is the full list of limited express (including Shinkansen) and express train services operated on JR East lines as of 2011. All remaining express services operated on JR East tracks are overnight expresses (夜行急行列車, yakō kyūkō ressha). JR East co-sponsors the JEF United Ichihara Chiba J-League soccer club, which was formed by a merger between the JR East and Furukawa Electric company teams. JR East aims to reduce its carbon emissions by half, as measured over the period 1990-2030. This would be achieved by increasing the efficiency of trains and company-owned thermal power stations and by developing hybrid trains. The Tokyo Metropolitan Police Department has stated that JR East's official union is a front for a revolutionary political organization called the Japan Revolutionary Communist League (Revolutionary Marxist Faction). An investigation of this is ongoing. The East Japan Railway Culture Foundation is a non-profit organization established by JR East for the purpose of developing a "richer railway culture". The Railway Museum in Saitama is operated by the foundation. EJRC holds a 15% shareholding in West Midlands Trains with Abellio and Mitsui that commenced operating the West Midlands franchise in England in December 2017. The same consortium has also been listed to bid for the South Eastern franchise. ^ a b c d e East Japan Railway Company. "JR East 2013 Annual Business Report (Japanese)" (PDF). Archived from the original (PDF) on 13 November 2013. Retrieved 25 June 2013. ^ a b c d e f East Japan Railway Company. "JR East Corporate Data". Retrieved 20 June 2009. ^ a b c d e East Japan Railway Company. "Financial Highlights - East Japan Railway Company and Subsidiaries" (PDF). Retrieved 24 February 2017. ^ a b c East Japan Railway Company. "Organization". Retrieved 20 June 2009. ^ East Japan Railway Company. グループ会社一覧 (in Japanese). Retrieved 20 June 2009. ^ a b c d e f g h i j k l m n o East Japan Railway Company. 会社要覧2008 (PDF) (in Japanese). Retrieved 20 June 2009. ^ East Japan Railway Company. "Consolidated Results of Fiscal 2011 (Year Ended 31 March 2011)" (PDF). Retrieved 27 April 2011. ^ East Japan Railway Company. "JR East 2012 Annual Report" (PDF). Retrieved 16 February 2013. ^ East Japan Railway Company. "JR-EAST - East Japan Railway Company". Retrieved 1 October 2016. ^ East Japan Railway Culture Foundation. "FOR A RICHER RAILWAY CULTURE". Archived from the original on 12 October 2007. Retrieved 28 October 2007. 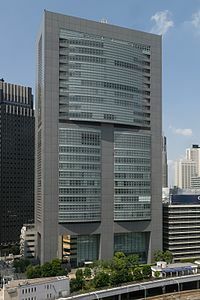 Wikimedia Commons has media related to JR East.